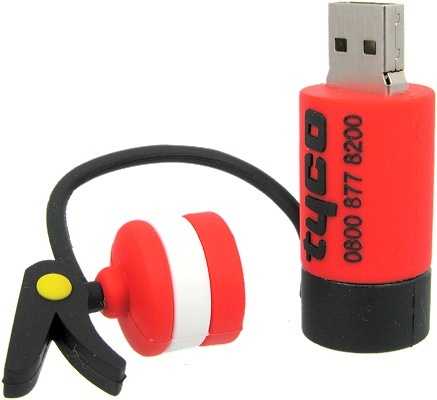 Customised USB Sticks custom as a Branded Promotional Gift. Customisation is more than just logo printing on standard USB stick bodies. This is a truely bespoke three dimensional rubber shape. 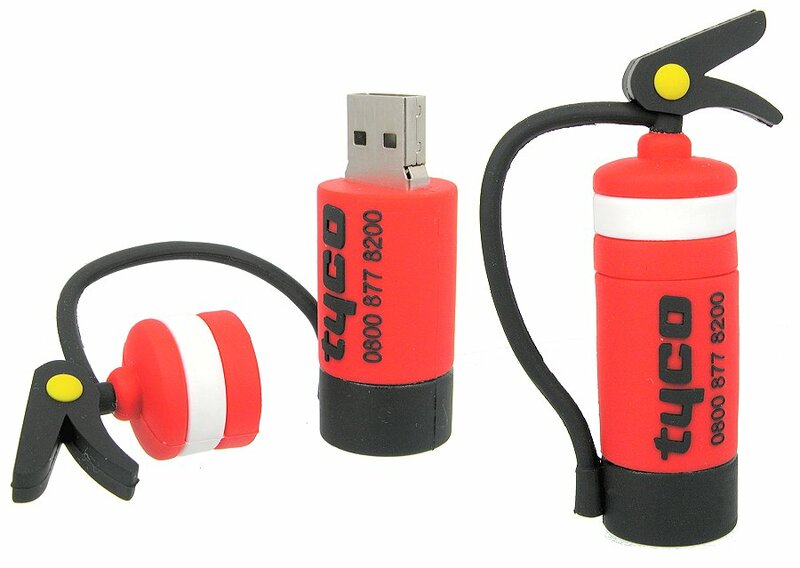 This fire extinguisher is just one example of what a customised USB stick can look like. So if you like this particular design of USB stick, ask Crazy Dave for more details and a price for whatever quantity you have in mind. Do you have ideas for other custom USB sticks? Custom means custom so you can send us a photo of your own product and our factories can cheaply produce your own design. You'll get the extreme impact of your own identity in the form of a custom USB memory stick.